REGISTRATION IS NOW CLOSED FOR ALL GRADE LEVELS FOR THE 2018-19 SEASON!!! The Dakota Ridge Sports Association offers a recreational program for players in grades 2 through 7, as well as the competitive Gold Crown League for players in grades 4 through 7. Participation is based on grade level. The cost to play in the Dakota Ridge Sports Association recreational league is $220 for grades 2 through 7. Included in the price are league fees, 1 team and 1 individual picture, gym space for practices as well as games, officials, and liability insurance. Uniform jerseys and shorts must be purchased separately. Gold Crown League fees for 2019 for grades 2 through 7 will be $195. The Recreational program is for boys and girls in grades 2 through 7. The teams compete in the Jefferson County Conference Basketball League against teams from other area associations. In each grade group, teams typically compete in either recreational or competitive divisions. Teams will be placed in divisions by Coaches, and with the help of the Dakota Ridge Sports Association Basketball Directors, according to skill level. Practices will be held at Dakota Ridge area feeder elementary schools for grades 2-6, and Summit Ridge Middle School for grades 6-8, as long as space is available. Teams typically practice twice a week until the league season starts the week of November 26, 2018. Practices will begin October 29, 2018 . The season runs through the middle of February. Games typically are played Mondays through Saturdays. The top 8 teams from every division will play in the Post-Season Tournament. ***Requests for specific coaches will be considered, but WILL NOT be guaranteed. Teams will be filled on the basis of what is best for all players registered*** Returning players should indicate if they played on a DRSA team last season and who their coach was, and if they wish to return to that team or not. If you are not sure, please contact the DRSA office and we will be happy to help you! *** GOLD CROWN COACHES MAY NOT BE REQUESTED!!!!!!! Practices for Gold Crown teams also start the first week of November. The Gold Crown league season does not start until after the New Year, and games typically will be played on Sundays. The postseason tournament runs from late February to early March. Gold Crown teams are encouraged to participate in preseason tournaments. Fees and registration for these tournaments will be handled by the coaches of the Gold Crown Teams. ********PLAYERS WHO TRYOUT FOR AND ARE SELECTED TO PLAY ON A GOLD CROWN TEAM MUST PAY THE REGULAR LEAGUE FEE(Jefferson County) AND THE GOLD CROWN LEAGUE FEE. *********ONCE A PLAYER IS SELECTED TO PLAY ON A GOLD CROWN TEAM, A SEPARATE REGISTRATION LINK WILL BE EMAILED TO EACH PLAYER SO THAT THEY CAN REGISTER AND PAY FOR THEIR GOLD CROWN PORTION OF THEIR SEASON. Dakota Ridge Sports Association uses one universal uniform (jersey and shorts). Uniform fittings will be offered prior to the season starting. Players who played on a DRSA team last season (2017-18) may use their same uniform. **Special Note: If your player switches teams and their jersey number is already taken by one of that team's existing members, you will be asked to purchase a new jersey so as not to have a duplicate number on the team-the player with seniority gets to keep their jersey number. If a player needs a new uniform due to wear and tear or new size requirements, they may order the entire uniform or only the piece that they need. ALL NEW PLAYERS TO DAKOTA RIDGE SPORTS ASSOCIATION BASKETBALL MUST PURCHASE A COMPLETE UNIFORM! NO EXCEPTIONS! All coaching candidates must fill out a coaching application online. 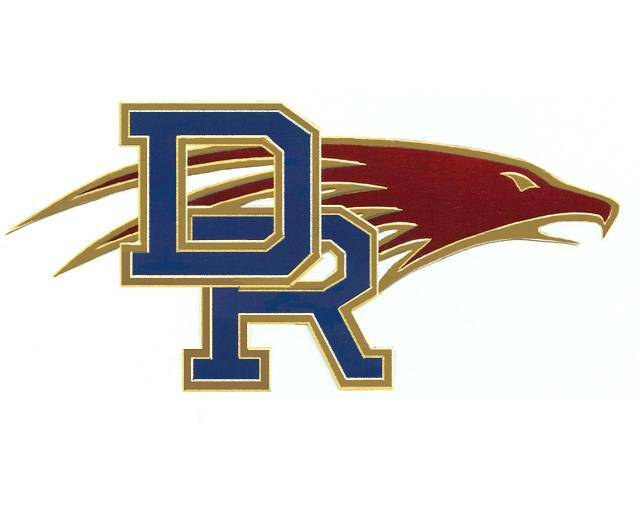 New coaches will be selected by the Dakota Ridge Sports Association Basketball Directors. All coaches must pass a background check to be eligible. All 8th graders who meet the above requirements MUST attend the tryout in order to be selected for a team. There will be a $75 NON-REFUNDABLE tryout fee and players must be registered and paid in order to attend the tryout. This amount will be applied to the player's total fees. Players who played on a DRSA team last season may use their same uniform. If you need a new uniform or just a piece of a uniform you may order one. You have the option to order nothing, a whole uniform, or just the piece that you need. ALL NEW PLAYERS TO DAKOTA RIDGE SPORTS ASSOCIATION BASKETBALL MUST PURCHASE A COMPLETE UNIFORM!